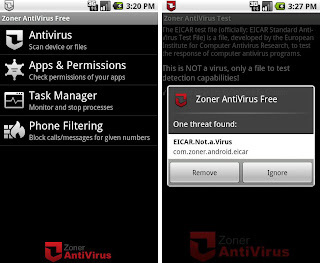 Anti-Virus Free Application for android developed by AVG and Security Droid, this application will do the scanning process when downloading, receiving, sending and uploading the data. 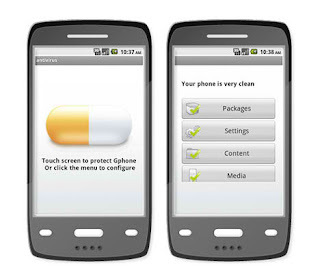 There are also features of Task Killer can be used to shut down an application that runs in the background when the system is working gadgets thats a slow start. 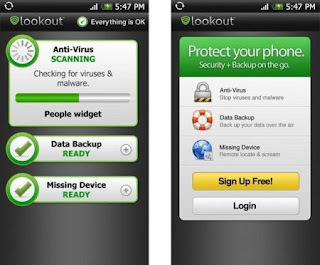 NetQin Antivirus Free 1.5 for android capable of performing real-time protection because the virus database will always be updated regularly and automatically updates when there is a new data base. NetQin Antivirus also has a facility "Anti-lost" that works to locate your gadget android which lost or left behind somewhere. 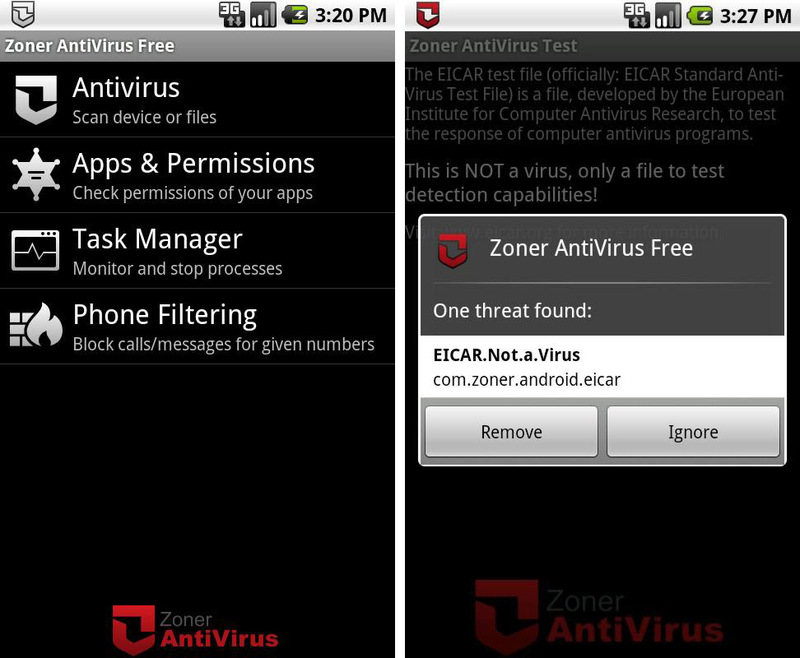 Zoner Antivirus free for Android also has a file size small. 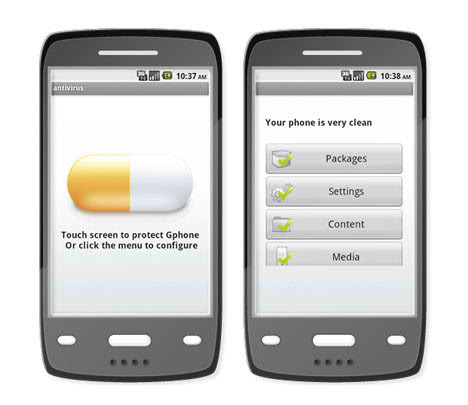 Despite the size, small, Zoner Antivirus Filtering Phone features that serves to block incoming sms to a phone or unwanted. 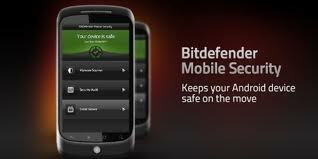 In addition there are also features that restrict Parental Lock outgoing calls.